I have been offered a job! It is an extremely part time job but a job none the less. I am very excited by this prospect but at the same time I am scared to death. I will not only have to leave baby boy for 2 afternoons a week but I will have to leave him with an almost stranger! 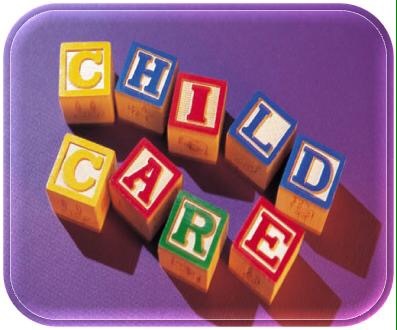 This starts the age old childcare question – nursery or childminder? I can honestly say that I am torn! As a qualified teacher I understand the benefits that a nursery can provide. A nursery with a large number of children can develop social skills and can help prepare a child for a school setting (a bit early I know!). On the other hand, a childminder can offer a more intimate environment and be able to focus more time on each child in their care. Now I don’t actually have a lot of time to find childcare. I have left it a bit late but in my defence I have only just secured a job! I spent a big chunk of today asking for recommendations from friends and looking online for local childminders and nurseries. There are no nurseries within walking distance of my house but there are some childminders. The closest childminder to me has no availability and I am waiting for 2 other local ones to contact me. My next step is to look at childminders a little bit further away and finally nurseries which would involve a car drive. I never thought that it would be difficult to find childcare. I just assumed that I would find a local, recommended provider and there would be a space for my child. Naïve I know!! At the moment my mind is occupied with finding childcare and so I haven’t had much time to contemplate the fact that I will be without my son for 2 afternoons a week. I know that this is not a large amount of time and I am lucky to not be leaving him full time (part time is not ideal for me though but that’s another story) but still, the thought does terrify me when I think about it. If anyone has any tips for me I would be glad to hear them! « Co sleeping – yay or nay? I’m a full time student so I had to leave my little munchkin since she was 2 weeks old. I was lucky that my grandma came over to the country where I live just to help so at least the baby wasn’t with a stranger, but I know how terrifying the thought of leaving the baby is. Now I’m on my holidays dreading the moment I will have to leave her again. Wow 2 weeks! That must have been hard. It’s nice that your grandma was able to help. You have a very special grandma if she moved to another country for you. You must have a fantastic bond! I hope that going back after the holidays is not too hard for you.